At Brant Marine we pride ourselves in providing quality marine service and repairs. Our highly trained and experience technicians are available for regular maintenance, complete re-power and fiberglass repairs. Brant Marine is a full service certified Suzuki outboard dealer. For most outboard power, we provide engine tune-ups, routine maintenance, rigging, winterizing and more. 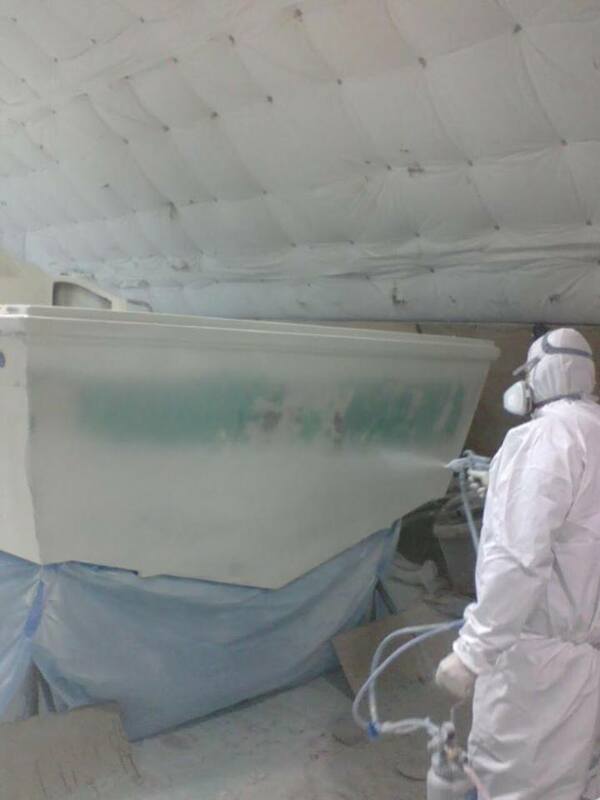 Brant Marine's fiberglass shop specializes in repairing hull and structural damage, gel-coat finish, decaling and bottom paint. We do contract and custom work for many boat dealers in the Lower Mainland. Brant Marine's facility is located on the waterfront and accommodates dock side service. We are also located near a boat ramp and have trailers up to 28 feet to pull your boat out for requested work. Insurance work is welcome at Brant Marine. We take care of dealing with the insurance companies and adjusters. We invite you to contact us at 604-952-2052 or complete the Contact Form to schedule an appointment. Brant Marine is dedicated to providing a consistent and positive experience every time our customers visit.